Hailed as the diet of 2016 and the new 5:2, endorsed by numerous celebrities and with promises of 7lb weight loss in the first 7 days, is the Sirtfood Diet too good to be true? The Sirtfood Diet has intrigued me ever since I first heard about it back in January. 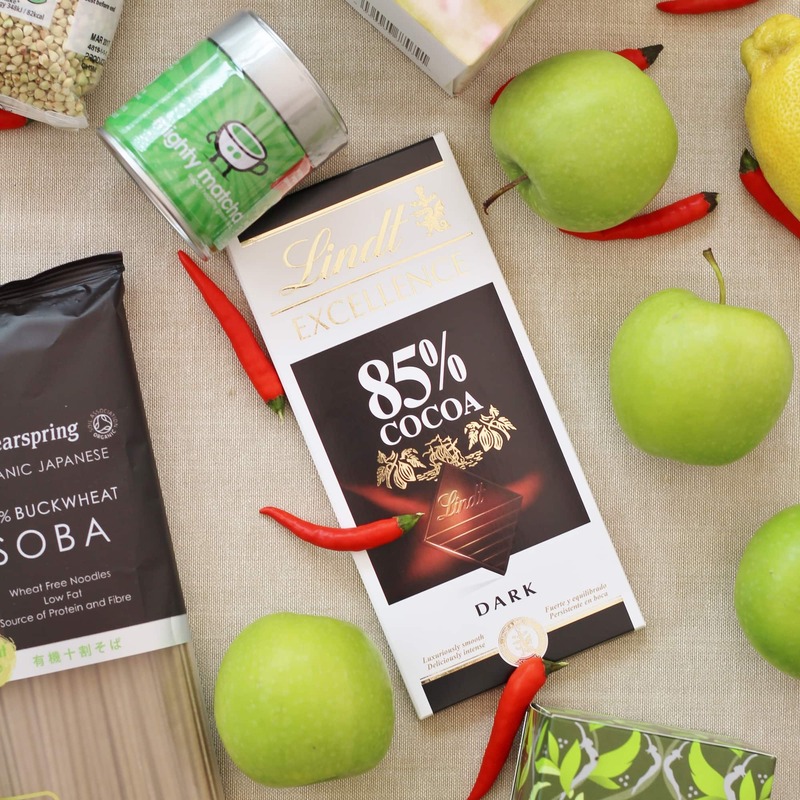 Not only does it promise incredible weight loss, muscle gain and an improvement in overall health, the Sirtfood Diet also actively encourages eating chocolate and drinking coffee and red wine (albeit in moderation!). It all just sounded just a little but too good to be true…I felt I had to test its claims. So last Monday I began the three week long diet in a bid to see if it really works for mere mortals. For more information on the Sirtfood Diet do go and check out last Monday’s post: What is the Sirtfood Diet and does it really work? Part 1. Well, having got to grips with my new juicer and done a bit of shopping to start myself off, I was ready and raring to go. The first 3 days of the Sirtfood Diet involve 3 green juices and only 1 meal, so I was prepared for it to be tough, but actually I was pleasantly surprised. The juices were drinkable and bizarrely I didn’t feel hungry all day until about 5pm (which was only an hour before dinner, so completely bearable). But the real highlight of the day was the two squares of Lindt 85% chocolate I was allowed after dinner. I waited until my kids were in bed and I had finished work for the day before I allowed myself this treat and it was fabulous, but did seem rather naughty! I spaced the juices out so I had one at 7.30am (our usual breakfast time), one at 11am, one at 2.30pm and then dinner at 6pm and the chocolate at about 9pm. Before heading off to bed I made up my 3 juices for the next day. So, feeling smug that I had completed Monday so well and had all my juices ready to go, Tuesday was something of a shocker. The juice, which I had been quite happy drinking on Monday, tasted vile – so much so that it made me gag! Really not sure what went wrong here. I have a few theories: maybe making it up the night before meant the juices were less fresh, maybe the kale I used in batch 2 of the juices was a bit past its best, maybe my body had suddenly changed its mind and rejected the juice? Still not sure what the reasons were, but by juice 3 on Tuesday, I just couldn’t drink it. Not even holding my nose. I had a few sips and then the rest of juice 3 went down the sink. On the plus side, I still didn’t feel hungry at all. All day! Not even at 5pm, like the day before. 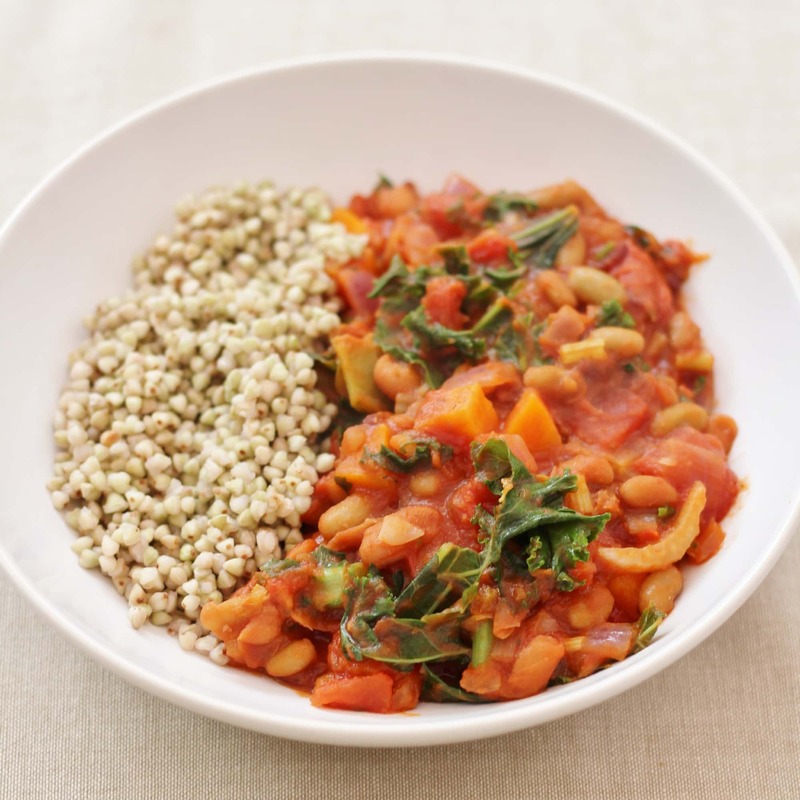 And the dinner I chose: Kale and Red Onion Dhal with Buckwheat was delicious. Each day there are two choices for dinner: a meat/fish one and a veggie/vegan one. I decide to mix and match a bit depending what the options were. 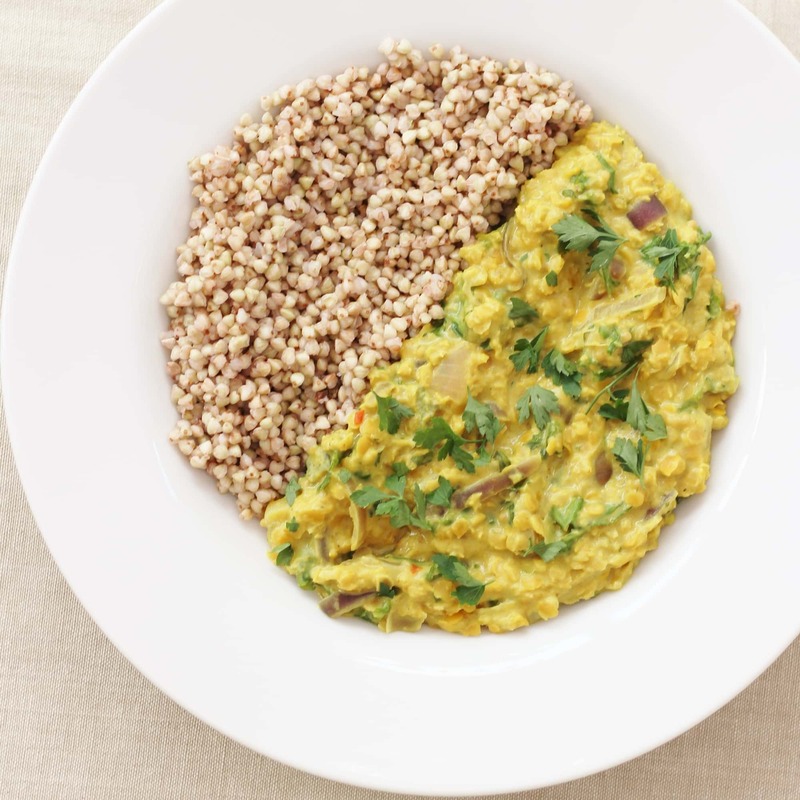 The dhal sounded so good, I just had to try it and I was not at all disappointed. 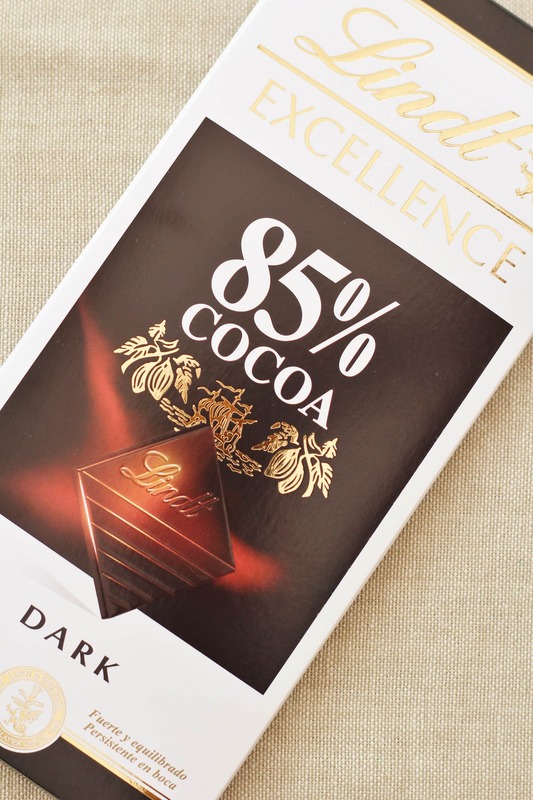 And of course there was that wonderful decadent treat of two squares of Lindt 85%. I decided after my green juice disaster that I wouldn’t make my juices up the night before, but instead make them up fresh each time on Wednesday. Also Tesco Man arrived with a fresh batch of kale so the old manky kale went in the bin. I made a few changes to the juice on Wednesday. I slightly upped the apple – a whole one, not half as per the recipe. And I slightly reduced the celery – the main smell that was making me gag. I reduced the celery down from 2 to 1 sticks. Otherwise I just made up the juice the same as Monday and Tuesday…and it was fine! I’m not going to lie to you, it’s not the most delicious thing I’ve ever drunk in my life, but it is perfectly drinkable (unlike Tuesday’s bad batch which certainly was not!). 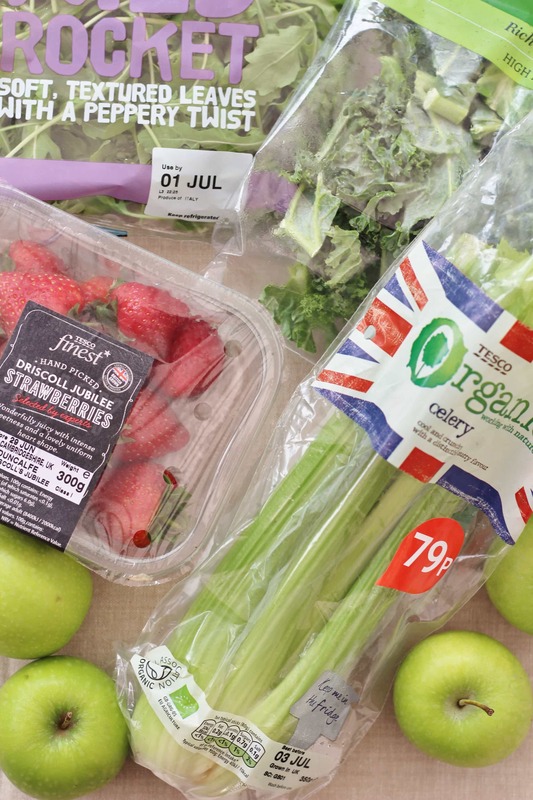 However a thought had been niggling in my brain since the start of the diet…the Sirtfood green juice ingredients all sounded like rather fab ingredients for a salad…would it work? Well I figured it was worth a shot! So instead of juice 2, I used the ingredients to make a simple salad. I made a dressing out of the lemon juice and ginger and a tiny bit of extra virgin olive oil. 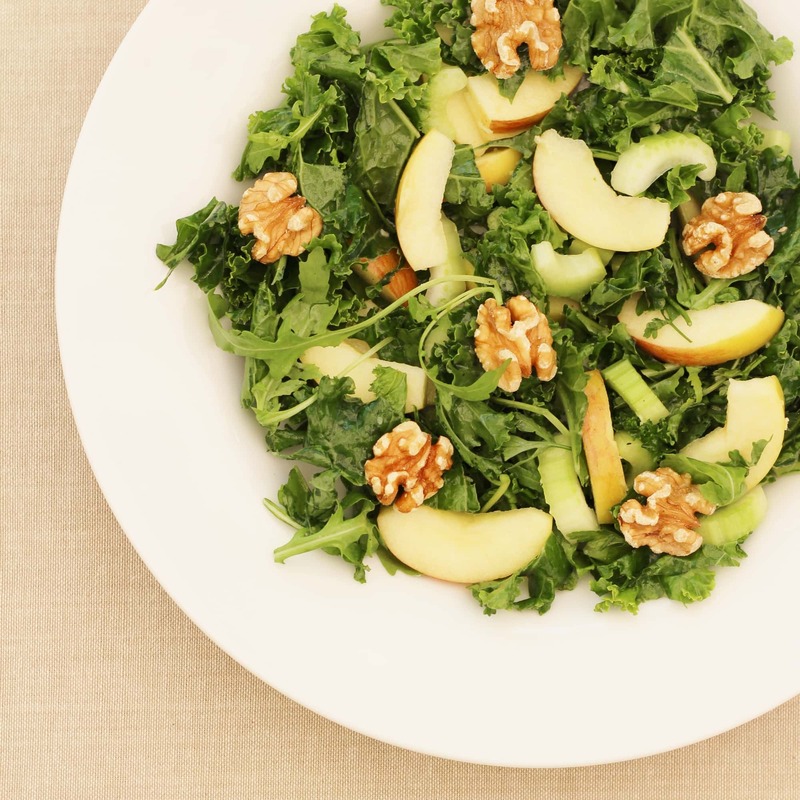 I massaged it into the kale and then added the rocket, parsley, celery and apple, plus a few walnuts. Both walnuts and extra virgin olive oil are Sirtfoods, so I didn’t feel too naughty adding them…and yes it did make a lovely salad (recipe below, if you fancy it). The salad was massive – I couldn’t finish it all and tasted lovely. Definitely one to have again and much nicer than the juice!! And then there was the chocolate again. You have to picture me at about 9pm, on the sofa, reading a book, eating chocolate and drinking camomile tea. I’m so very happy. It’s a very, very nice way to end the day! So on Day 4 it all changes and you are allowed 2 proper meals and 2 green juices. 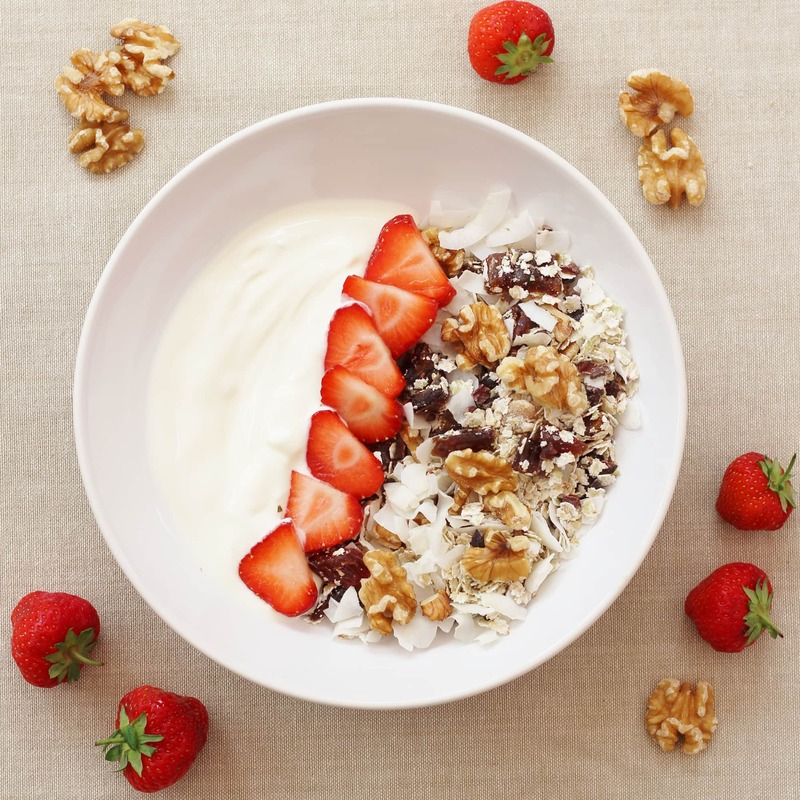 This gave me a bit of a dilemma as to when to have the first meal, which on Thursday was the Sirt Muesli – more of a breakfast thing really, but I wanted to spread the meals out a bit so I opted to have the muesli at 11am and the juices at 7.30am and 2.30pm. The Sirt Muesli was FAB and one of the absolute highlights of Week 1 (the other most definitely being Saturday’s dinner! See below…). It’s really quick to put together. You can make loads of it in one go. And it tastes amazing! Plus the quantity you are allowed is massive – I couldn’t eat it all! For dinner, I opted for the vegan option of Tuscan Bean Stew. (There is a salmon option, if you prefer, which also sounds good.) The stew was very nice, but it was the third meal in a row served with buckwheat and it would have been nice if it had been served with something else as I was getting a little bit fed up with buckwheat by this point. Buckwheat is nice but not every day. Ditto kale and celery for that matter. I know the Sirtfood Diet tries to cram in as much of the top 20 Sirtfoods as possible into each meal but it does make for a bit too much sameyness. I do really like kale/celery/buckwheat etc. But for breakfast lunch and dinner every day for a week – not so much! Now here’s the thing. After Wednesday, there is no more mention of the Chocolate, which I reckon was clearly a typo! 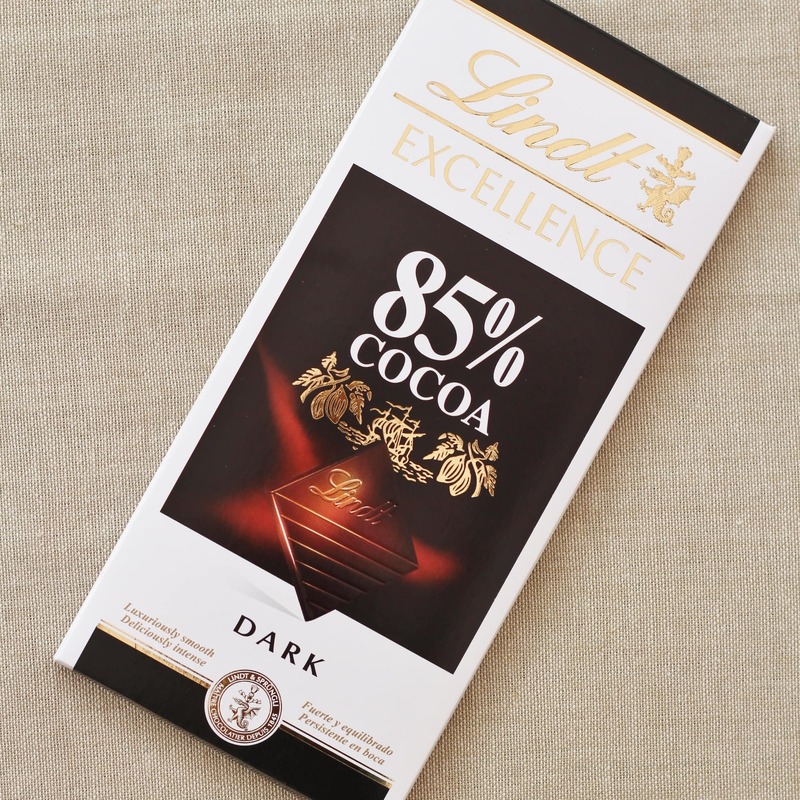 So (very naughtily) I decided to continue with the Lindt 85%. Well…it is a Sirtfood after all! Friday began, as all my other days, with a green juice, but then it was school sports day and picnic, which had me in a bit of a dilemma about how to do things. 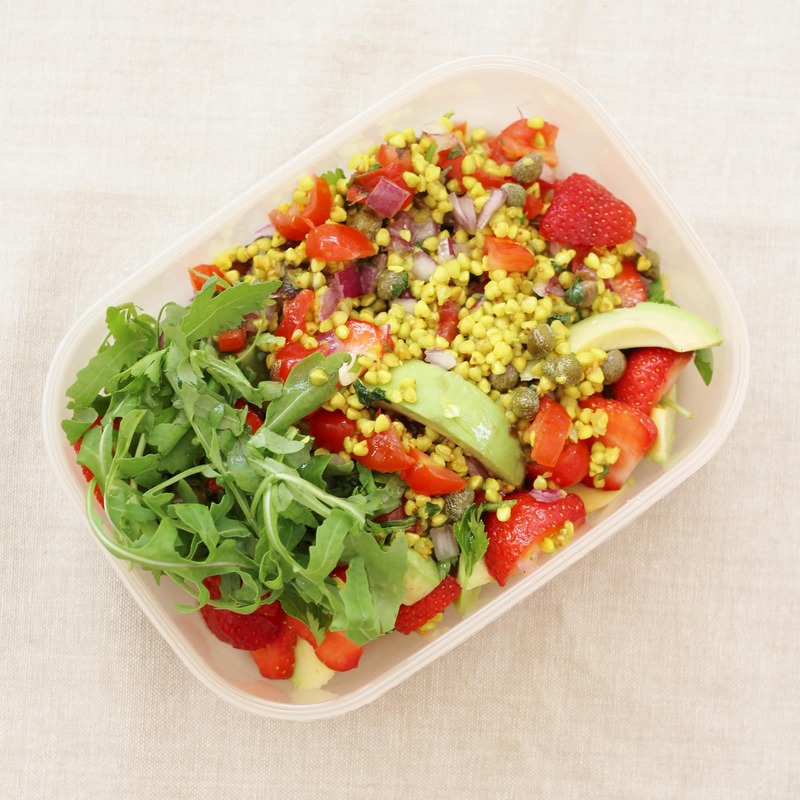 In the end I decided to do the juices at home and take Meal 1 – a brilliantly portable Strawberry Buckwheat Tabbouleh to the picnic. It was totally delicious and so much nicer than a sandwich. It’s great that the Sirtfood Diet works round real life. 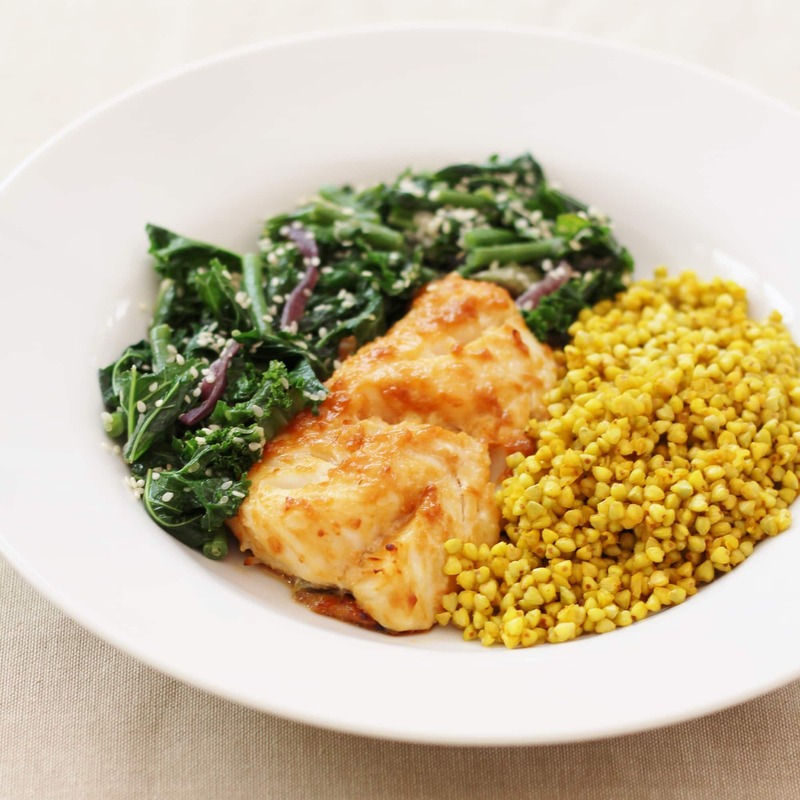 Dinner was Miso Marinated Baked Cod and again, delicious but with yet more kale and buckwheat, a wee bit samey. It was beginning to drive me a bit bonkers! And my poor kids. They were a bit cross about having to eat buckwheat again. Especially as Friday night is usually pizza night…oops! And yes…there was more chocolate. I’m sorry. I couldn’t help myself! Today the kids and my husband were home, so I had juice for breakfast and then the Sirtfood meals for lunch and dinner. Lunch was the Sirtfood Super Salad, a delicious mix of rocket, chicory, avocado, walnuts, capers and a whole host of other Sirtfoods. There are 4 options for the protein element of the salad: lentils, smoked salmon, tuna or chicken – we opted for the chicken, but I would have been quite happy with any of these options. I had the salad and chicken on its own and my husband and kids had it with bread. I popped all the different elements of the salad out in little bowls on the table for everyone to help themselves (thereby avoiding moans from the children about the bits they didn’t like!). However the real highlight of the day was dinner: Chargrilled Beef with Red Wine Gravy and Herby Roast Potatoes. All I can say, is yum yum yummy! Although it was another ‘every pan in the house’ meal and did involve yet more kale! But that red wine gravy was just amazing – I’ll definitely be making that again. Despite the diet being hailed as the red wine and chocolate diet, red wine is strictly off limits in Week 1 (thereafter you can have 2-3 glasses per week, if you wish). I was a good girl and abstained. The fact there was red wine in the sauce did help. But it was a tough one. In my world a good steak needs a good red wine! My husband had a glass of Southern French Cabernet Sauvignon with his and reported that it went very well. And of course I had the chocolate again! Sunday was a really busy day with lots going on in the morning and I knew lunch would be late. The thought of getting through until 2pm on juice alone didn’t appeal, so I cheated slightly and had a bowl of that delicious Sirt Muesli instead. Oh my that stuff is soooo good! 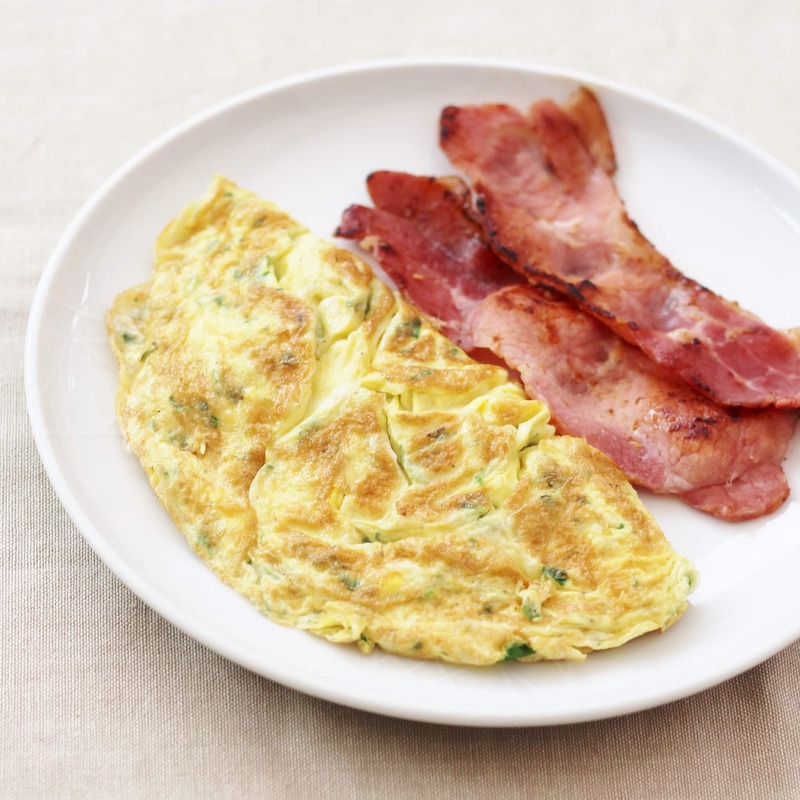 Lunch was a wonderful Sirtfood Omelette with Bacon. Officially you are supposed to put the bacon IN the omelette but I had mine on the side instead. I just had this (well, OK I might have had 3 slices of bacon…but I had had a very busy morning) and my kids and hubby had beans and toast as well. Dinner was Chicken with Walnut and Parsley pesto and a Red Onion and Tomato Salad. Given my children are not big fans of red onions or tomatoes, I made a ‘normal’ salad for them and served it up with some crusty white bread for them and my husband, but I just ate the chicken and the red onion salad. I slightly adapted the salad by adding in some capers and using lemon juice rather than red wine vinegar. I absolutely loved the salad, but I wasn’t exactly bowled over by the chicken. It was ok, just a bit boring. If you do try the Sirtfood Diet and get a bit fed up of the juice, why not try this delicious salad alternative? 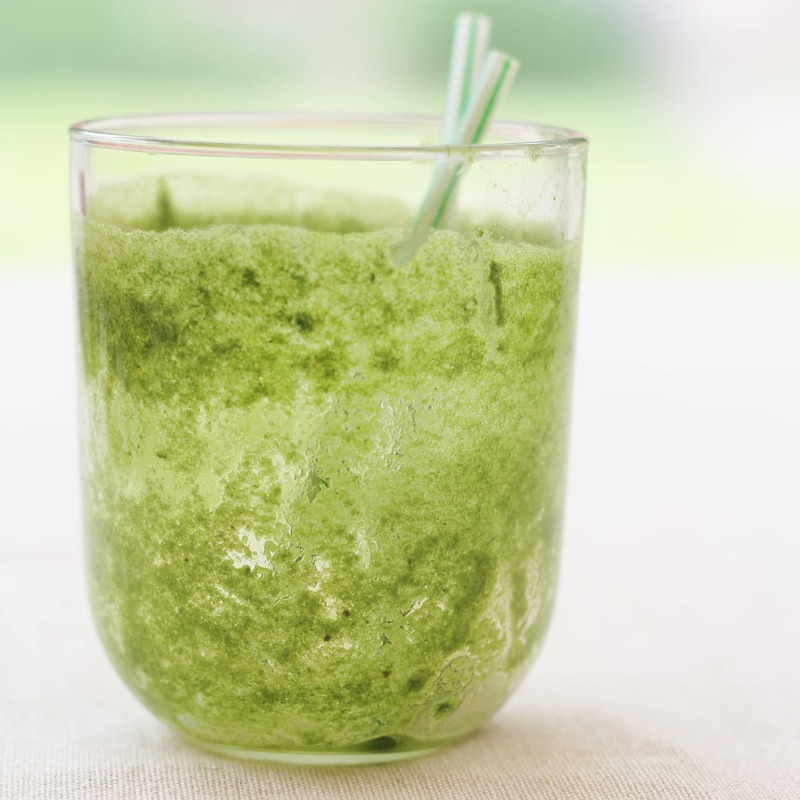 It includes all the same ingredients as the green juice, plus 2 additional Sirtfoods: olive oil and walnuts. It’s delicious and very easy to make. If you love chilli, why not sprinkle with a chopped birds eye chilli to add yet another sirtfood into the mix? 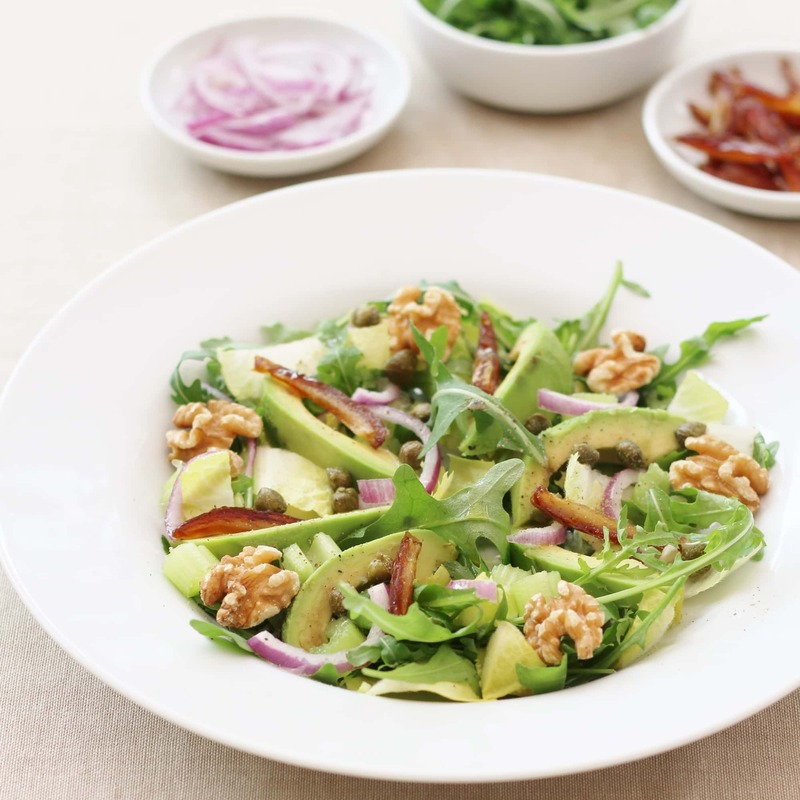 An alternative to the Sirtfood Green Juice, this salad includes all the same ingredients as the green juice plus 2 additional Sirtfoods: walnuts and olive oil. Delicious and very easy to make. Put the lemon juice, ginger, salt, pepper and olive oil in a jam jar and shake to combine. Place the kale in a large bowl and pour over the dressing. Massage the dressing into the kale for 1 minute. Add all the other ingredients and mix together thoroughly. Probably my biggest gripe with the Sirtfood Diet is the portion sizes are massive, which seems to defeat the object of a diet. 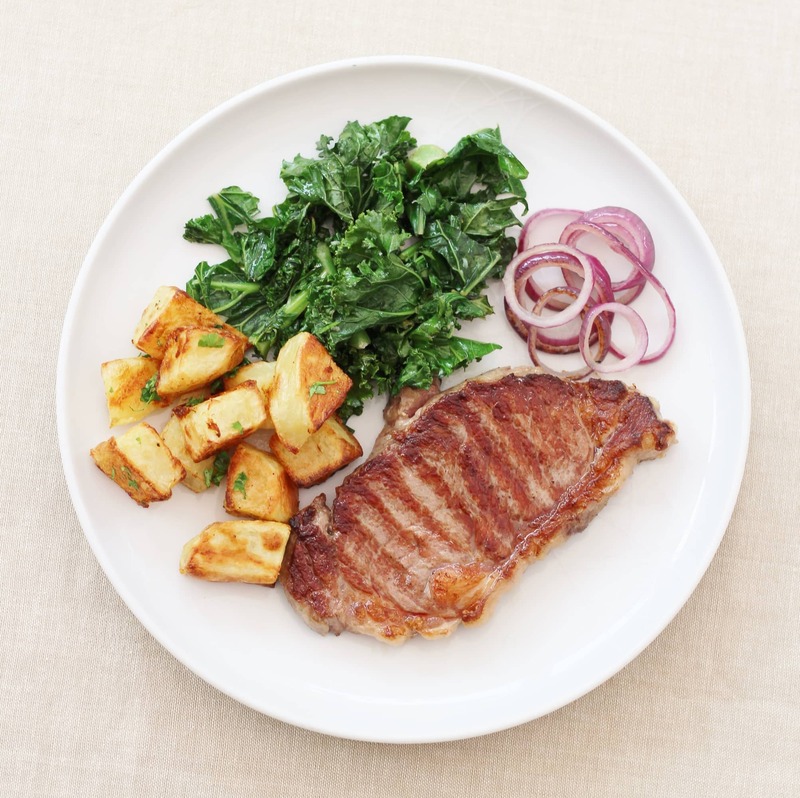 I would much rather have two smaller meals in the day than one massive one that I can’t finish and sometimes it’s not the portions that seem supersized but the proportions – like ridiculous amounts of kale with the steak or 2 boxes of cherry tomatoes in the salsa (if you make it for 4 that is). If you are going to do the Sirtfood Diet, I strongly advise you to use your common sense and do the amount that seems sensible to you, if the book recommends too much food. And actually the authors do say in their second book that if you feel full you should stop eating and not force yourself to finish a portion which is too big. I got thoroughly fed up of kale, celery and buckwheat in week 1. I like all 3, but by the end of Week 1, I kind of didn’t any more! You can definitely have too much of a good thing!! It would be nice if there was a bit more variety in the meal plan. Though I recognise to a certain extent, it was my fault switching between the meat and vegan options. If you plan to mix and match, I really do suggest you are careful to avoid too much sameyness. I will certainly be more careful next week. 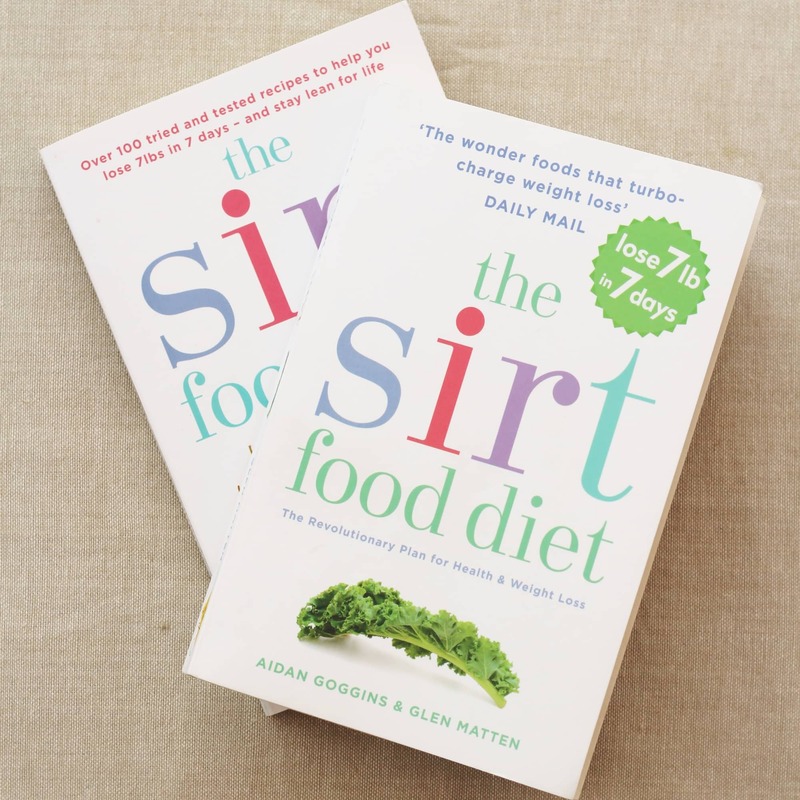 The good news is that the authors of the Sirtfood Diet have recently launched a new book: The Sirt Food Diet Recipe Book, which has a lot more options in it – they give a whole load of extra/different meals to do in Week 1 meaning much more variety and lots of them sound really good! The really lovely thing about doing the Sirtfood Diet is that you get a few weeks off meal planning. This is something that often takes me half an hour or more on a Monday night (though this is partly because of my blogging). It is really lovely just to have a plan and only two options to choose from each day. Coconut Flakes – I found these in my local health food shop, but you could sub in desiccated coconut. Buckwheat Pasta – Again my local health food shop came up trumps, but you could use brown rice pasta or just wholemeal pasta if you didn’t want to make the trek. Buckwheat Flakes/Puffs – I found these on Amazon but they cost a fortune! I eventually found the flakes in Waitrose and decided just to get these and swap the puffs for flakes in the recipe. If you can’t get hold of them, porridge oats would probably do as a substitute. Matcha Green Tea – This I could only find on Amazon – I bought this one. It cost £12 and the tub is tiny!! 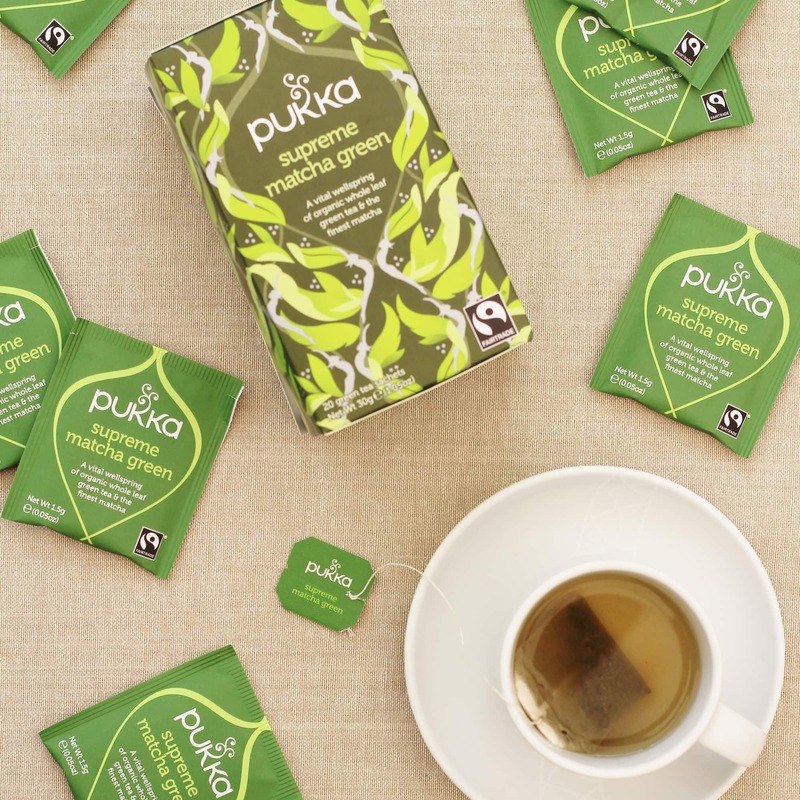 It’s for the green juice and to be honest, if I was doing the diet again, I probably wouldn’t bother, but instead drink plenty of Pukka Herbs Supreme Matcha Green tea, which I found in Tesco and has a small amount of matcha in it and tastes wonderful. Easily the best green tea I have tried, with no bitter aftertaste. 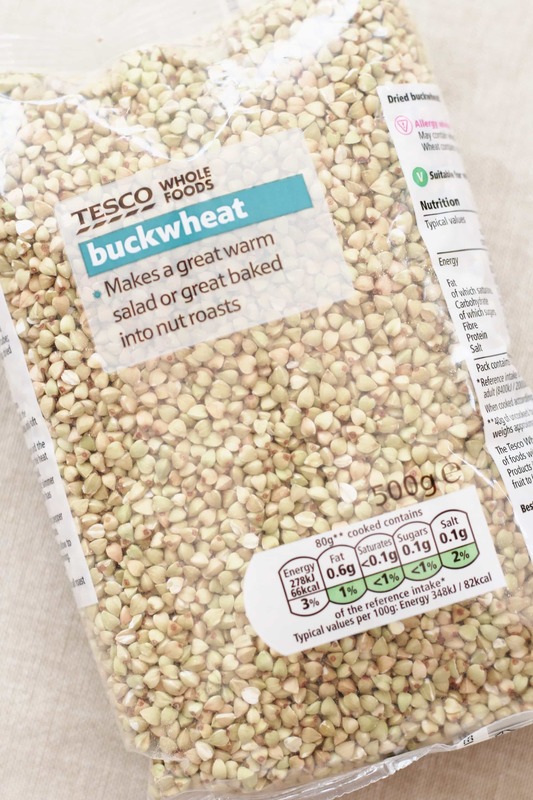 Buckwheat Noodles – I couldn’t find 100% buckwheat ones in Tesco, but found them in Waitrose and the health food shop. If you don’t fancy the trek, I’d get the wheat and buckwheat ones or just sub in normal noodles. Lovage – I drew a total blank here. Goodness knows where you can get this from. I just did without, or sometimes substituted with parsley. 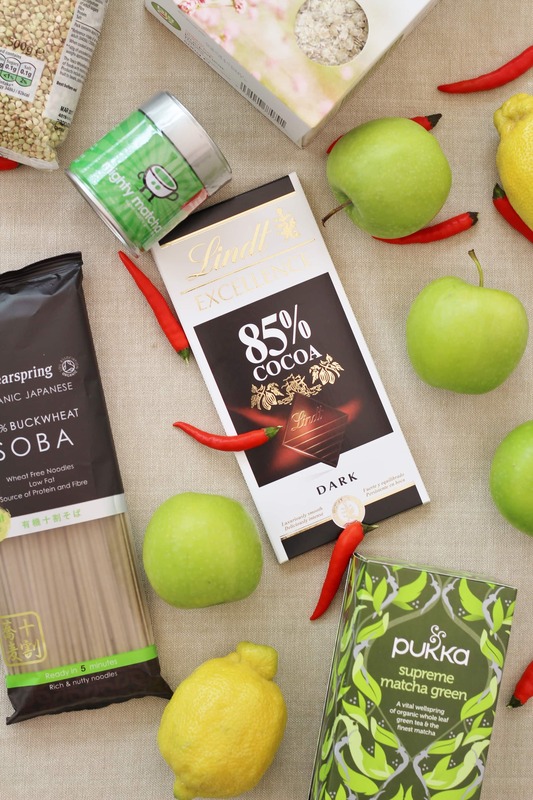 The problem with all these speciality products is that they are quite expensive (especially the matcha tea – ouch! ), which makes this diet a bit tricky to do if you are on a tight budget. This diet was initially trialled in an exclusive London gym and cost was probably not an issue there. But actually apart from a few speciality items, the bulk of the ingredients are fairly normal and not too expensive. 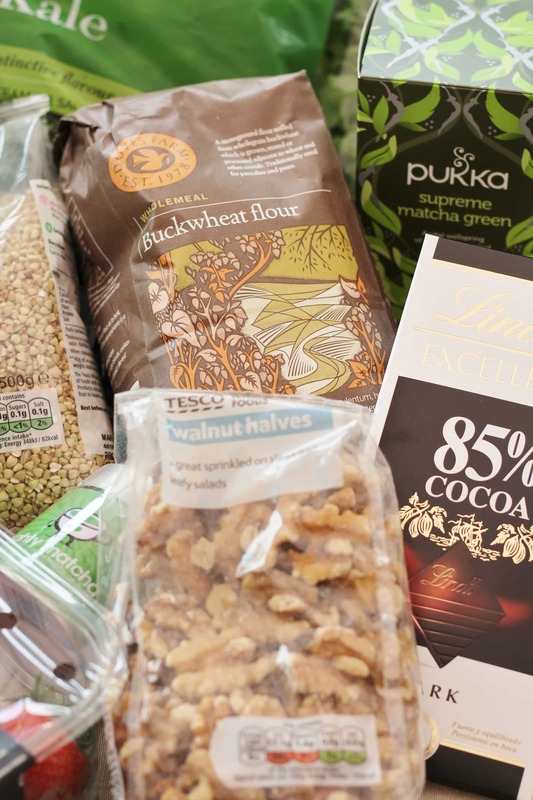 If you are on a tight budget it might be worth mainly doing the veggie/vegan recipes which tend to focus on cheap veggies and staples such as beans, lentils and buckwheat and miss out and/or substitute some of the more expensive ingredients, like buckwheat noodles and matcha tea. The other expense is definitely a juicer. If you want to make the juice, there is really no way round this, except to get a juicer, which can be pretty pricey. 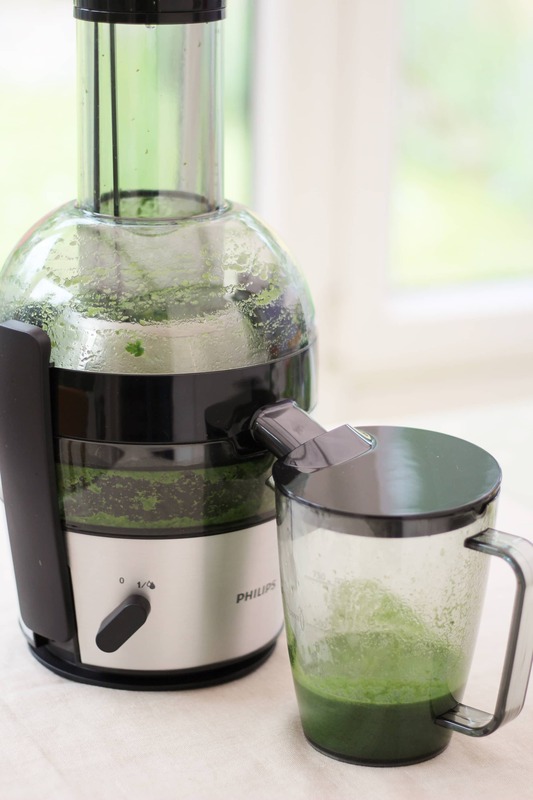 The one I found and have been happily using is the Philips HR1867/21 Viva Collection Juicer and, although the retail price is £110, it is currently on offer. It works really well and I would definitely recommend it. But if you are on a tight budget, this may be beyond your means. Alternatively you may just not want to shell out on an expensive piece of kit only to decide the diet is not for you. Unfortunately, you can’t just blitz the ingredients in a blender/food processor. Or at least I tried, when I was preparing for the diet and it was a vile green sludge! And my online research suggests I am not the only one to find this. 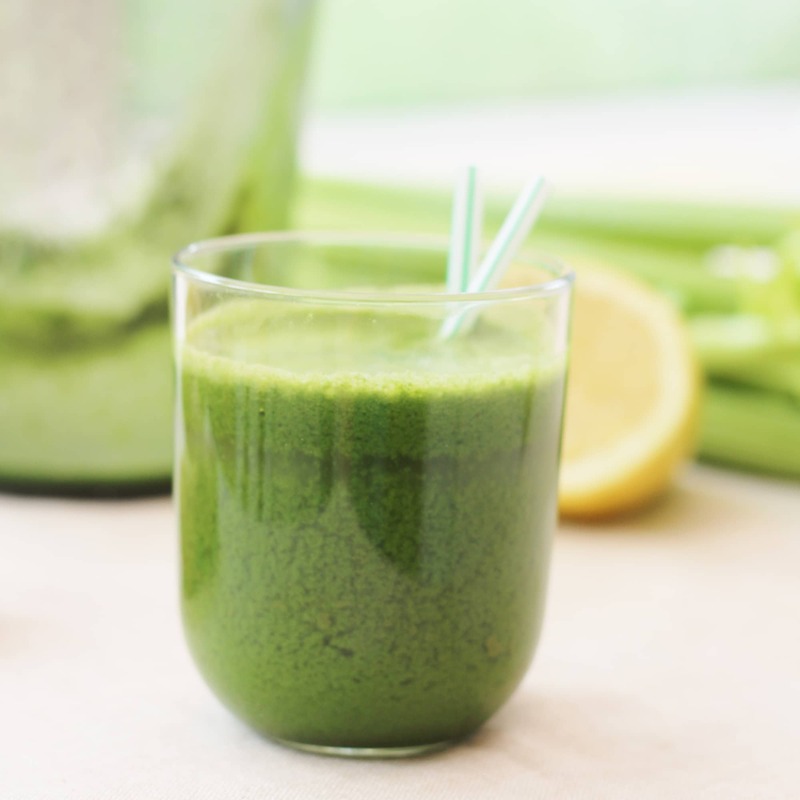 You could try sieving the sludge or using a muslin/nut bag to squeeze the juice out, but that does sound like rather a palaver or you could turn the green juice into a salad as I did on Wednesday (see below for the recipe). I think probably one of the reasons this diet works so well is the drinks. Basically your options are water, green tea, black coffee and black tea (and 2-3 small glasses of red wine in weeks 2 & 3). I always find it amazing just how many calories are hidden in drinks, which don’t even fill you up! There’s no juice/fizzy drinks/hot chocolate/lattes etc. allowed on this diet and very little alcohol. For many people that’s several hundred calories saved right there! I used to be terrible with drinks – juice, hot chocolate and alcohol were my particular weakness. I’ve been working on this little vice for just over a year and so I didn’t find it too awful. Plus, I am a total coffee nut and I really love green tea (especially the Pukka Herbs Supreme Matcha Green), but if you are used to drinking lots of calorie filled drinks it might be worth cutting down before embarking on this diet, so it’s not too much of a shock. One helpful bonus of the Sirtfood Diet is that, because you can’t eat all day and there are no snacks allowed (apart from the all-important 2 squares of chocolate), instead of reaching for the snacks when I felt hungry or bored, I drank instead. And though that was sometimes coffee and green tea, it was more often water that I really fancied. As a consequence I drank loads of water this week. I also allowed myself camomile and peppermint tea when I got a bit bored of water and didn’t want any more caffeine. Every day has a meat/fish option and a veggie/vegan option. I found this quite helpful when meal planning. I picked the one I liked the sound of most. 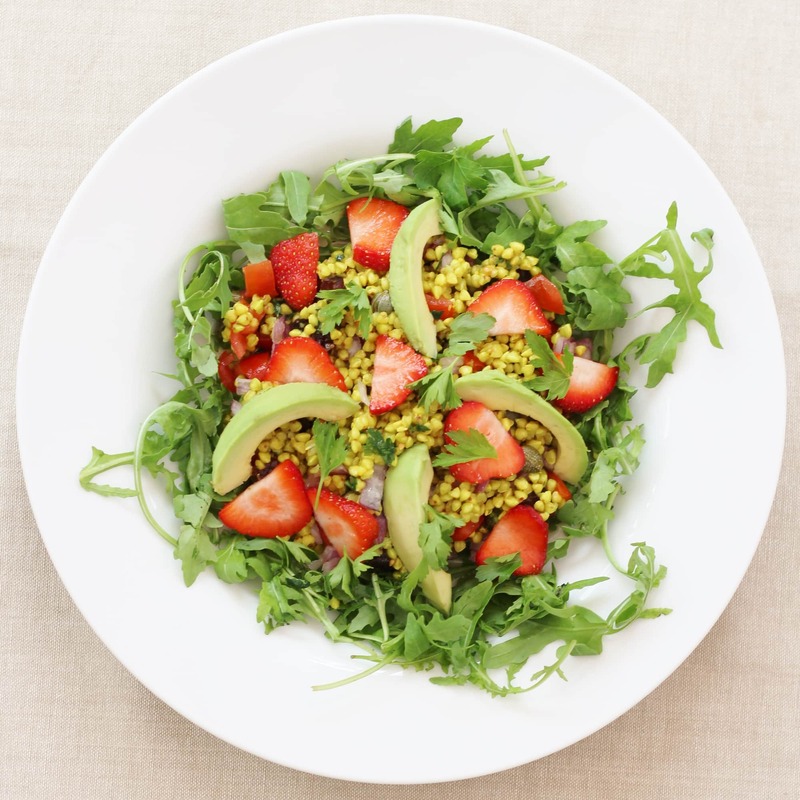 The veggie/vegan options also do tend to be simpler – great for busy days! And they are also cheaper – my mix and match approach definitely brought down the cost of my shopping considerably. I am very fortunate in that my kids (and husband!) are relatively unfussy and willing to try new things. I gave them a normal breakfast while I had green juice. We called it Mummy’s special science experiment 🙂 . They were at school (work) on the days when I had green juice for lunch and for the lunches and dinners they were around for, they just had the same as me. Mostly they were happy, and I did choose carefully, but they did get a bit fed up of buckwheat and kale, but then so did I! The book says specifically that it is OK to give the kids the meals, but not the juice – to be honest I’d be quite surprised if you could find a kid who would drink the juice!! But I think a lot of kids would not be as accommodating as mine. If your kids (or other half!) are a bit fussier than mine you might find you need to cook separate meals and/or make some adaptations, such as alternative carbs (if they are not fans of buckwheat) or alternative veggies (if they are not fans of celery and kale). You might also find it helpful to get The Sirtfood Diet Recipe Book and make an alternative recipe if you think your family won’t like the suggested option on any particular day. Ah – the million dollar question! And the answer is…yes. I lost 6lb! In fact I lost 5lb in the first 3 days!! And given how much I was drinking, I’m not sure it is possible that that was from fluid loss. The special thing about this diet is that it is supposed to help you gain muscle as well as lose weight. Unfortunately I don’t have fancy scales that tell me such things so, I can’t comment on that, but in the book they say typically participants put on a little weight in muscle, as well as losing weight in fat, so it is entirely possible that I have put on muscle and lost even more fat. But for me the diet was so much more than about losing weight. I was intrigued to see if I could benefit from any of the other claims…and the answer is also yes! I definitely feel heathier, I’ve been sleeping better, I feel more positive and energetic, more alert (and no it’s not because of the coffee – I’ve drunk no more coffee than normal and most days less) and bizarrely I’ve also felt less hungry than normal! I have also been drinking more water and I realise now that often when I feel hungry I’m probably actually thirsty…or just bored! So in the next 2 weeks the diet gets a lot easier. It’s less a ‘diet’ and more just a healthy eating plan. There are 3 meals a day and just one juice. There is also the option of having 1 or 2 Sirtballs per day (a snack made from cocoa, walnuts, dates etc. ), plus you are allowed red wine!! (Though only 2-3 glasses per week.) Otherwise you still need to stick to the water/black tea/black coffee/green tea regime. I’m really excited to see how things progress from now on…Don’t forget you can follow my progress in the week on Twitter, Facebook or Instagram. And do come back and visit my blog next Monday for my Week 2 Report. I’m finding it really interesting reading about how you’re doing on this diet. 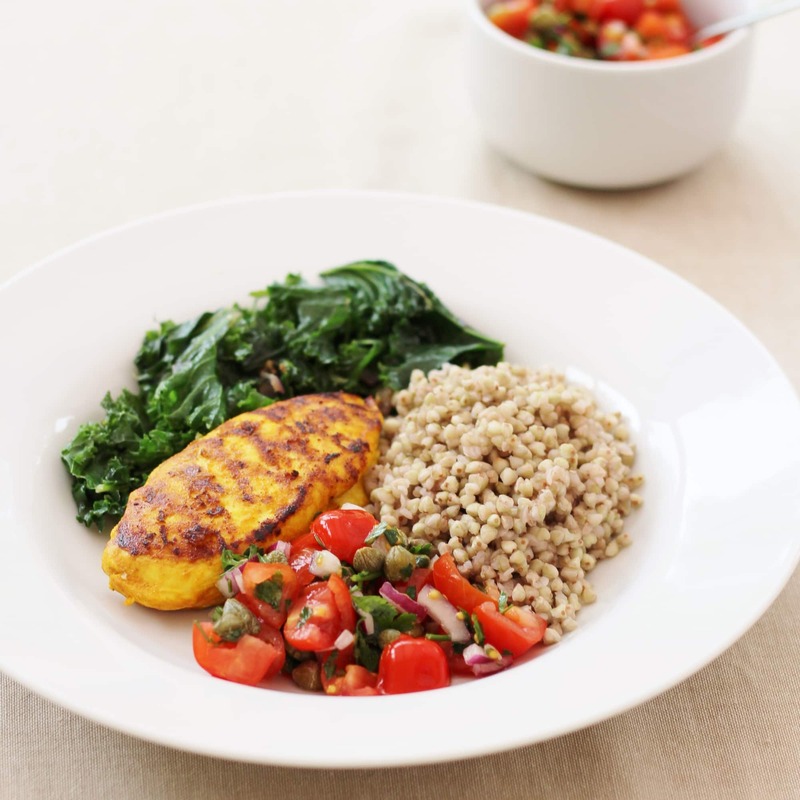 I have never followed a diet and couldn’t imagine doing it myself, mainly because my family would probably refuse to eat some of the meals but I do like the look of a lot of the recipes and it’s certainly made me want to try to eat more of the foods that it recommends. I reckon you’ve eaten more kale in just this week than I have in all my life! Really good to read this article. I am on day three and worried as the portion sizes are just massive! I made 1 portion of the Museli last night and it was enough for three people… although delicious, is this correct portion sizing? Thanks for your reply. It seems it is more of a healthy eating than diet plan? I lost 3lb on day one but nothing on day 2. 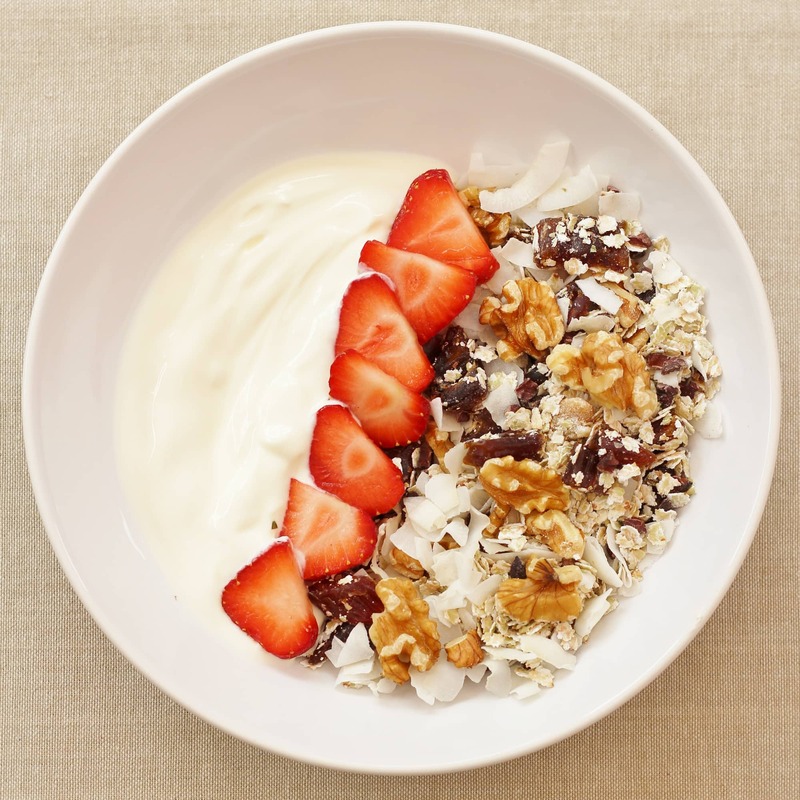 I have included the muesli today as I was SO hungry yesterday. I will try to stick to the plan to a degree! Great read, I want to try this. Can you eat the leftover meal food for the next days meal?